Instead of waiting for “Hump Day” you can celebrate “Thank God It’s Tuesday” next week when the 2018 Wine & Spirits Top 100 Tasting comes to San Francisco on Tuesday, October 9. This annual event showcases Wine & Spirits’ favorite 100 wineries from the last year along with local chefs and artisanal purveyors serving small bites to complement the wines. We have always enjoyed our experiences at this celebration of premium winemaking which has been held in San Francisco since its inception. It should be sunny next Tuesday, so if you want to spend the afternoon in The City, this would be a lovely way to end your day. This year, the 15th annual Top 100 Tasting takes place between 6:30 pm and 8:30 pm at City View at METREON (135 4th Street, San Francisco) and if you move quickly you can still buy tickets for yourself and/or friends (including a chance to enter the event an hour earlier). 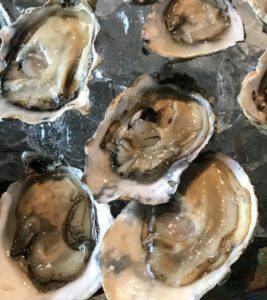 Come start your evening by comparing Champagnes from wineries such as Bruno Paillard, J. Lassalle and Louis Roederer, pairing them with Oysters from Island Creek Oysters. After you’ve sampled your selections of white wines and red wines, you can then wrap your evening with sips such as Madeira from Blandy’s or Port from Kopke. 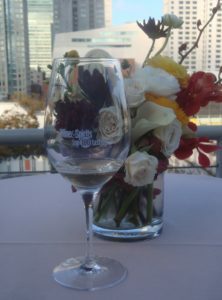 The 2018 Wine & Spirits Top 100 Tasting reflects international excellence with wineries representing fourteen countries including Catena Zapata (Argentina), Yalumba (Australia), Stift Göttweig (Austria), Cave Spring Cellars (Canada), Concha y Toro (Chile), Bouchard Père & Fils (France), Fritz Haag (Germany), Estate Argyros (Greece), Marchesi Antinori (Italy), Felton Road (New Zealand), Soalheiro (Portugal), Kabaj (Slovenia) and R. López de Heredia (Spain). 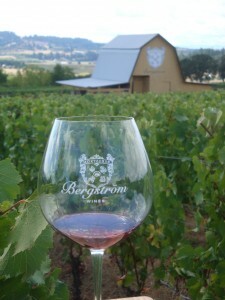 There will also be plenty of wineries from the US, including Bergström Wines (Newberg, OR), Col Solare Winery (Benton City, WA), Cristom Vineyards (Salem, OR), DeLille Cellars (Woodinville, WA), Evening Land Vineyards (Dundee, OR), Gramercy Cellars (Walla Walla, WA), Hermann J. Wiemer Vineyard (Dundee, NY), King Estate Winery (Eugene, OR), Lingua Franca (Salem, OR) and Ovum Wines (Newberg, OR). And yes, there will be quite a number of California wineries participating in the event as well. California will be represented by wineries such as Anthill Farms (Healdsburg), Big Basin Vineyards (Saratoga), Buena Vista Winery (Sonoma), Corison Winery (St. Helena), Diamond Creek Vineyards (Calistoga), Donkey & Goat Winery (Berkeley), Drew Family Wines (Philo), Heitz Cellar (St. Helena), Iron Horse Vineyards (Sebastopol), Melville Winery (Lompoc) and Robert Mondavi Winery (Yountville). General Admission tickets for the Top 100 Tasting can be purchased for $125 each and come with a one-year subscription to Wine & Spirits magazine. Or, you can splurge for a VIP Admission ticket which provides you entrance one hour earlier (at 5:30 pm) for $185. Please go here to purchase tickets. If you are a member of the Bay Area food and wine Trade, you may be able to still obtain a discounted Trade ticket. Please direct your request soon for more information to trade@wineandspiritsmagazine.com. 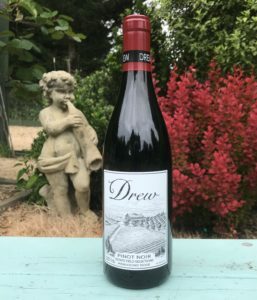 Curious about which other wineries made the cut for the 2018 Wine & Spirits Top 100? 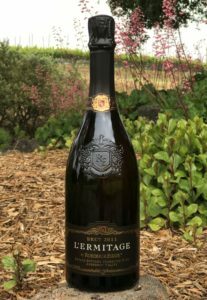 Some of the other winners are d’Arenberg, Viña Errazuriz, Hirsch Vineyards, Keenan Winery, Matthiasson, Domaine de la Pousse d’Or, Roederer Estate, Stag’s Leap Wine Cellars, Stags’ Leap Winery, Domaine de la Vougeraie, and Domaine Zind-Humbrecht. If that isn’t enough to fill your evening, you still have wines from another 50 wineries to choose from, including another dozen just from France. To see the complete list of wineries participating, please go here. 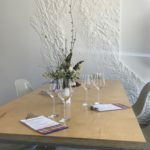 In addition to wineries, Wine & Spirits also recognizes local Restaurants and Artisan Purveyors each year who prepare and serve small bites to pair with the wines. 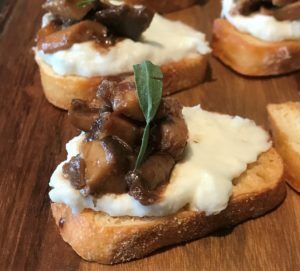 At this year’s Wine & Spirits Top 100 Tasting you will find delicious offerings from establishments such as 1760, À Côté, Atelier Fine Foods, Belotti, Bonito Poke, Churn Urban Creamery, the girl & the fig, Kin Khao, Lord Stanley, The Morris, The Saratoga, Sour Flour, Spruce and Trick Dog. We have thoroughly enjoyed past Top 100 Tasting events and highly encourage you to attend yourself. Parking is easy (the 5th Street and Mission Street Garage is just across the street) or you can take public transportation (City View at Metreon is just one block south of the Powell Street Station BART exits at 4th and Market). If you are free that Tuesday, don’t miss your chance to taste highly acclaimed wines, meet the winemakers and enjoy an array of artisan specialties all in one place. The 2018 Wine & Spirits Top 100 Tasting event also helps raise money and awareness to protect water resources. A portion of ticket prices will be donated to San Francisco Baykeeper, one of 200 Waterkeeper Organizations and Affiliates working for clean water around the world. For more than 25 years, Baykeeper has worked to stop pollution in San Francisco Bay and its tributaries throughout the Bay Area. They are the only nonprofit with a pollution patrol boat that regularly monitors and investigates pollution in the Bay. 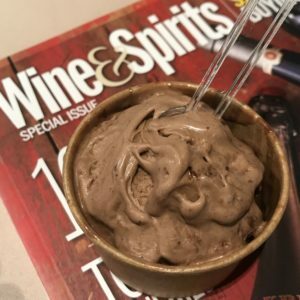 Founded in 1982, Wine & Spirits Magazine is published eight times a year and read by over 200,000 members of America’s wine community looking for information on wine regions and producers, the art and science of viticulture, restaurant and industry happenings, and food and wine pairing. The 2018 Wine & Spirits Top 100 Wineries (and their wines) will be discussed in detail in the Winter 2018 issue of the magazine, which will go on sale the same day: Tuesday, October 9th.